A bittersweet, funny, sad story of friendship, first love, and heartache, all rolled into one spellbinding tale, from a stunning debut novelist. 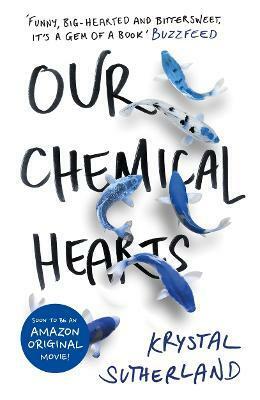 For fans of John Green, Rainbow Rowell and E. Lockhart. Henry Page, a hopeless romantic and film buff, is smitten as soon as Grace Town walks into his classroom. But Grace - who looks in need of a good bath, is dressed in guy's clothing, and walks with a cane - is unlike any leading lady he's ever obsessed over. And when Henry and Grace are both offered positions as editors of their high school newspaper, the mystery of Grace begins to captivate him. Why does she visit a graveyard every afternoon? What secret does she keep locked away in her bedroom? Above all, why is Grace Town so deeply sad? Before he knows it, Henry is sure that he is the one to unlock her happiness. But Grace is capricious, changeable, infuriating, and, above all, damaged. Henry will need to be the strongest he has ever been to survive this particular love story.